Note: This has been depreciated and is not available any more. Please see the new version of this device. 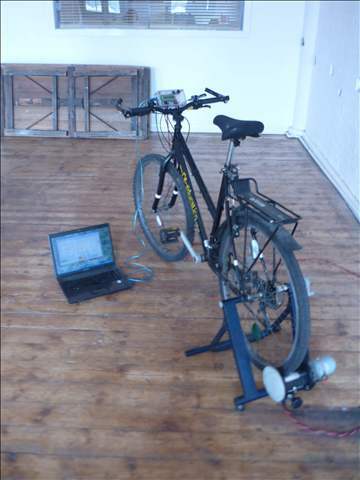 There are many pedal power generating devices around – from recharging batteries to powering sound systems and cinemas. These systems are great interactive exhibits for people to get a physical feel for the power and energy that their everyday appliances consume. 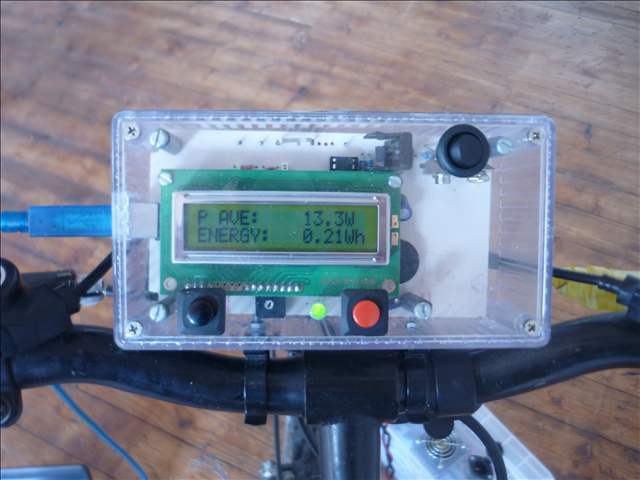 The pedalog has been specially designed to monitor the power and energy generated by pedal powered electricity generators. 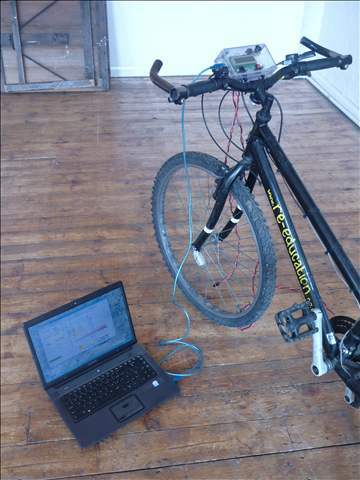 Data can be collected and used to increase the educational value of pedal power demonstrations. 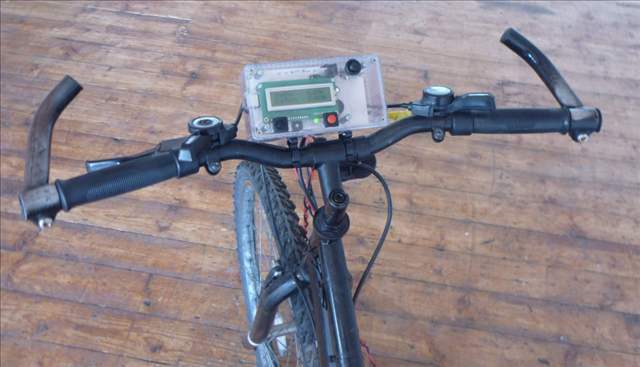 It has been designed as a relatively easy-to-use block which can be added to your pedal power system. 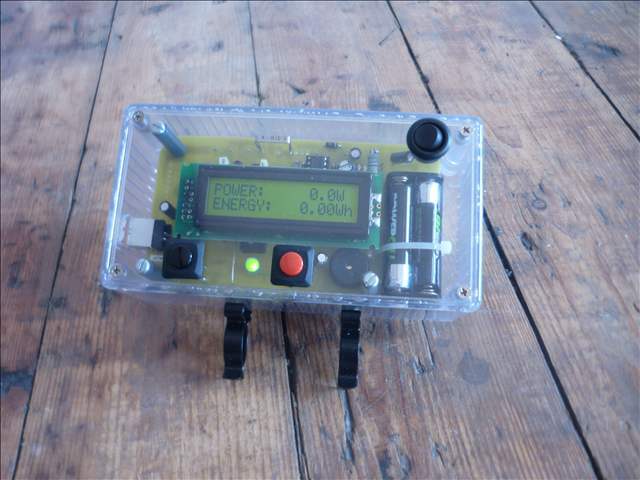 The pedalog can work as a stand-alone device from which data can be read from the back-lit display. It can also be connected to a PC. Data can be transferred to a computer using a USB connection. 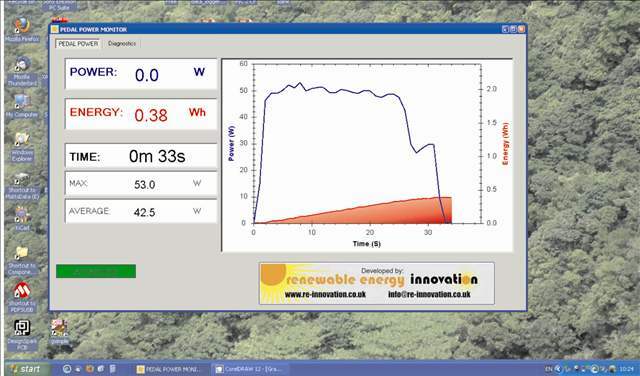 Free graphing software is available to present the data in an informative way. See the pedalog info flyer here. 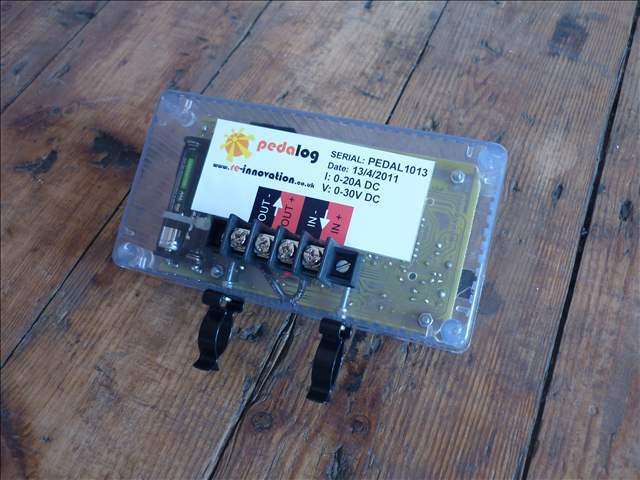 Download the pedalog operational instructions here. Software for this device is available here. The full design for this device is available here. how much is the pedalog? will it work with 64-bit windows?